If you’re wondering why you’ve missed our updates, that’s because it’s been ages since we last posted one of these. The good news is, if you follow us on social media you probably haven’t missed much. We’re super active on Twitter, Instagram & Facebook so follow us there to stay in touch. You can also subscribe to our newsletter (side bar on the right) and we’ll send you new information and updates by email. We were at E-learning Africa Conference from 26-28th September and as usual we had a great time learning about the industry and making connects. This is a great time to be a part of E-learning in Africa! 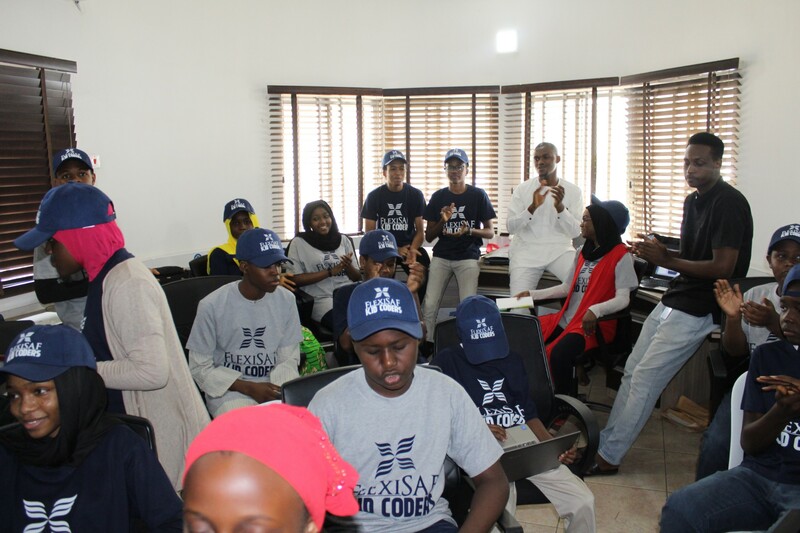 We hosted our yearly Kid Coders holiday training program in Abuja & Kano (in collaboration with Steamledge) over the Long Holidays in August. It was a fun-filled 2 weeks! We think every child learn to code, if possible. Find out why here and we hope you enroll YOUR kids next time! FlexiSAF Foundation is now fully active. Have you heard about it? Where have you been? The Foundation is dedicated to reducing the drastic number of Out of School Children in Nigeria. We hope to see you at the Official Launch event coming up on the 1st December in Abuja. We’ve taken on quite a few projects so far; the latest of which is building a new school in Rugga Community and enlightening them on the importance of having their kids attend school. The community alone has thousands of out of school kids living in poverty and without access to basic education. The Rugga Community School Project. We’re super excited about this one! One of our major projects before the end of the year is to redesign the look and user experience of our flagship product SAFSMS. There’s a need to create a simpler, more modern feel that reflects the growth of the product so far and we can’t wait to release it to users! We’re also releasing a new version of the mobile app for teachers. The aim is to make everything much easier & simpler to use. Meanwhile, feature improvements and updates happen every week. So we now publish a weekly SAFSMS update summary. Check out the first one right here and subscribe to the SAFSMS newsletter if you’d like to get those updates. 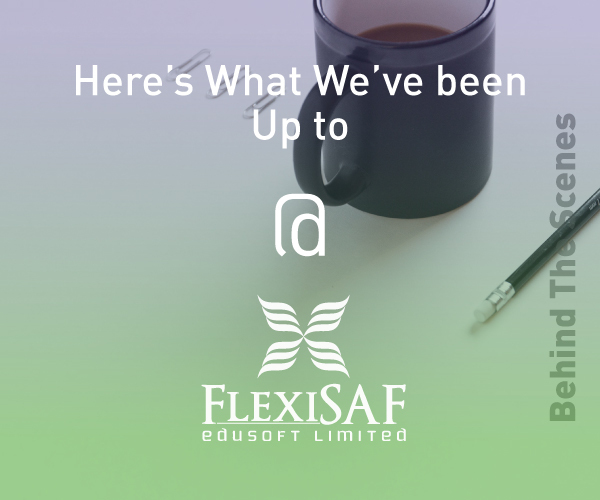 You may have heard we rolled out an e-learning platform for schools, SAFLearn. SAFLearn was created from a place of need – we felt it was necessary for our Nigerian students to have engaging, home-made teaching content that meets world wide standards for learning. Currently, the product is undergoing testing in a few schools and quality assurance before we put it fully on the market, sometime next year. As technical partners, we’ve also been working on the scholarship application portal for the new batch of PTDF Scolarships. Qualified? Applications are now officially open. Apply here. Our last excurison series was a visit from the National ICT Olympiad finalists. FlexiSAF was one of the sponsors for this year. The finals took place last weekend in Lagos and the top 3 finalists were: 1st Place – Obidimuso Nkete (Lagos), Gapani Abel (Abuja) – 2nd Place and Nwokolo Richard (Delta) in 3rd place. 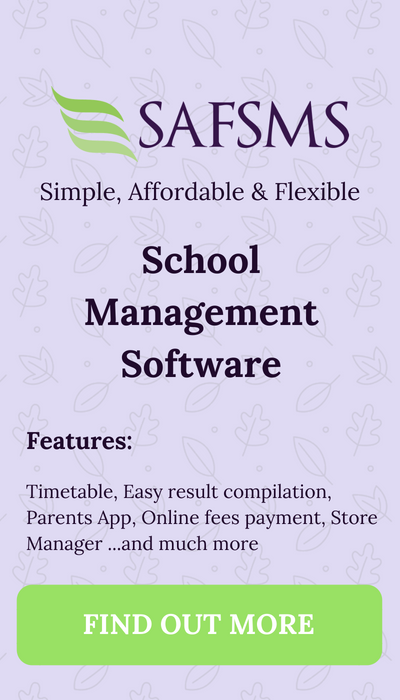 We’ve had a few new schools like College of Health Education Ningi, Nigerian Defence Acadmey and College of Legal Studies Misau adopt our records management system for tertiary institutions, srms.ng. It’s great news (for them and for us). In a nutshell, those are some of the things we’ve been busy with lately. What have you been up to? 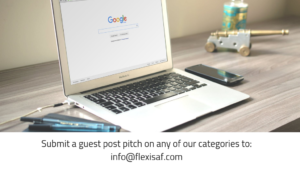 Tweet at us @FlexiSAF, we’d love to hear from you!